Step 1: First, connect to your first Ethernet connection. Some older Macs come equipped with an Ethernet port, but most will require you to use either a Thunderbolt-to-Ethernet or USB-to-Ethernet adapter. Once you have connected your Ethernet cable to your laptop, plug the other end into your modem or router. In most cases, you will connect to the internet automatically. Step 2: Attach your second Ethernet connection by following the same process, keeping in mind that if you hope to see a speed boost, it needs to come from a different router/modem. 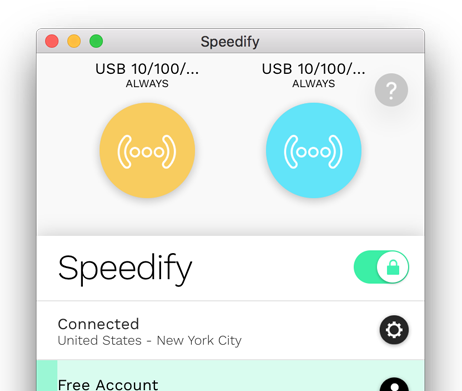 Step 3: Combine connections by turning on Speedify. 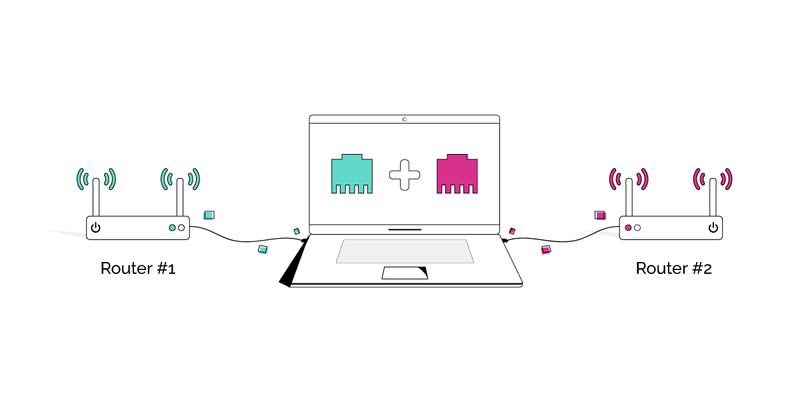 When you launch Speedify, the software automatically detects the Ethernet connections. You will see them each contained in a Connection Bubble near the top of the Dashboard.